There are two basic programs for students to register - Astronaut Training or Top Gun Fighter Pilot Training. How does the SCIVIS Week compare to a regular week at Space Camp? Is attending SCIVIS an excused absence from school? How can I get to SCIVIS? What about money? Are scholarships available? How do I register? When is the registration deadline? When is SCIVIS? What are the program start and graduation times? Is there help for making travel arrangements? What if I have to arrive early or I have to leave a day later? How do I get to SCIVIS from the airport? Is there a cost? How much personal spending money should I bring? I take special medicine, can I still come to SCIVIS? What hospital/ER do you go to in case of an emergency? What will I need to pack for my journey into space? Will I need my travel cane? How can I contact my child while he/she is attending SCIVIS? Is there a hotel near Space Camp? How does Space Camp handle disciplinary issues? Who are the Crew Trainers? How many others will be at the camp? How many people are in charge? This special week is coordinated by teachers of the visually impaired from all over the United States. Many adaptations are available this week that are not available during a normal week at Space Camp. Braille, large print, CCTV's, voice output on selected computers, visually impaired speakers, and support help from certified teachers of the visually impaired are just a few. Siblings or friends of visually impaired students are welcome to attend the same week. Discounted tuition is also available this week as a result of the group rate. The decision of 'excused absence' is up to the local school. We know of no instance when a student was not excused for attending SCIVIS. We have created an attendance letter that you can give to school officials if there are questions. How can I get to Space Camp? Do I have an interest in math, science, and space science? Do I enjoy new social and learning experiences? Do I have independent skills in the areas of daily living and social skills? If you answer YES! to these questions, read the rest of information on this page, then go to SCIVIS Registration to register! Programs cost is $795.00 ($895 for Advanced Academy) for the room, programming, materials, etc. from Saturday lunch to Friday lunch. Transportation cost is not included. Money is available for partial scholarships. Scholarships are available for our program only. Please go to SCIVIS: Scholarship Form Page for the SCI-VIS Scholarship form. You will need to complete the scholarship application in its entirety and forward it along with a letter of recommendation from your math or science teacher. Please note that there are 2 essay questions that must be completed. Scholarships are available pending funding from granting organizations. Total amounts of scholarships are impossible to predict. Never assume scholarships are in the full amount of tuition (usually 25%-50%). Deadlines vary. Please see the Delta Gamma Scholarships Form for exact date. We strongly encourage you to seek funding on a local level, if assistance is needed. Many civic organizations are open to funding the Space Camp Experience for blind and visually impaired children. Promise your funding organization a program at their weekly meeting when you return. That will show your appreciation for their donation and may further your chances of returning for future programs. Once you are there you will want to go back. How do I register? What is the registration deadline? All registration can be done by ground mail or email. Please go to SCIVIS Registration to register! Complete the forms online. Your slot will be held until full payment is due August 20. When is Space Camp? When are program start times and graduation times? Space Camp usually runs Saturday through Thursday they last week in September in Huntsville, Alabama. Friday is reserved for traveling home from Space Camp. Graduation is Thursday at 7 PM for all programs. Airline reservations for leaving Space Camp should be booked anytime on Friday. Graduation and additional activities will run late on Thursday night; chaperones and students will want to attend. Meals are included from registration day lunch until Friday lunch. If parents are in the area they are invited to graduation. All medications need to be turned over to the nurse's station during registration and picked up after graduation. Students arriving or departing early or late should request boxed meals. If you need assistance with your air travel arrangements, call 1-800-476-2952 (Adventure Travel) between 7:30 a.m. and 5:30 p.m. CST, Monday-Friday. 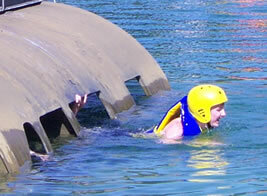 Adventure Travel is the official travel agency for Space Camp. We cannot make changes to arrangements made by another agency or airline. Unaccompanied Minor (UM) service for children under 12. UM fees vary by airline and are subject to change without notice. Due to recent FAA changes some airlines are not honoring unaccompanied minors. Remember that most children attending SCIVIS will qualify as assisted travelers and can be ushered by airline personnel. There are age and gate restrictions. Please check with your airline or travel agents for details. If your travel schedule requires arrival the day prior to the Saturday start of SCIVIS or to depart a day later than Friday departure day, you will be required to pay a $99 fee for late departure/early arrival. This fee includes meals, lodging and full-time counselor. Upon arrival the student or group will be assigned a counselor, who will be an employee of the U. S. Space and Rocket Center. That counselor is responsible for those children until the program officially begins or the attendee leaves. Chaperones arriving early or departing late with students should remain with their team and be responsible for them. Early Arrival should be scheduled no earlier than 2 p.m. on Friday, prior to the start of SCIVIS. All students are expected to depart from Space Camp on Friday. Flights can be scheduled at anytime that day. How do I get to Space Camp from the airport? Is there a cost? The total cost for transportation from the airport to Space Camp and back is $50.00/student. Space Camp staff will be waiting at the airport. They will make sure bags are picked up. The Space Camp staff will also place the campers on the Space Camp bus to be transported to Habitat 1. The bus will also take the campers back to the airport and staff will ensure they get on the plane home. Chaperones attending Space Camp with groups of children will not be billed for this cost. This fee needs to be included as part of the registration fee. Chaperones should be encouraged to keep money for the students if at all possible. Students traveling to Space Camp unaccompanied should bring a lock for their personal locker to keep money under lock and key. This is a good idea for all students. Space Camp staff members can not keep money for their team members. Opportunities for attendees to spend personal money abound. There are 2 museum shops with many souvenirs including: space patches, buttons, rockets, books, models, posters, clothing, movies, etc., etc. There are also 2 snack bars and various juice, snack, and soft drink machines. Remember that all meals are provided. Flight suits and other uniform packages are available at the Space & Rocket Center Gift Shops upon arrival or departure. Cost is approx. $75.00 for flight suits. Many other clothing accessories are available. The amount of personal spending money sent with a Space Camp attendee is the decision of the parents or guardians. I take special medicine, can I still come to Space Camp? PLEASE COMPLETE THE SCI-VIS On-Line HEALTH FORM! Your child cannot start program activities without a completed Health Form. Any medical problems we need to be aware of must be noted. Please bring A WEEKS worth of medication. All prescription medications, vitamins and herbal products will be collected and administered by the nursing staff. They must be in their original container with the original label in order to be dispensed, and they are given as directed by the label on the bottle, not how attendee states he/she takes it. Any changes must be noted by the physician prescribing the medication. Our Nurses Station carries numerous over-the-counter medications so it is not necessary for attendees to bring these. Attendees are not permitted to keep any medications with them. U.S. SPACE CAMP and AVIATION CHALLENGE are learning environments with a structured curriculum. Attendees should continue taking any medication that affects behavior or learning ability. Additional note: the Space Camp & Aviation Challenge day may be longer than your child is used to, (7 AM - 10 PM) so please adjust directions on medications, if necessary. All emergencies go to Huntsville Hospital for Women and Children. Check the weather channel before packing clothing for SCI-VIS week at Space Camp. Sheets and blankets are provided. All students using canes must bring their cane and use it while attending camp. 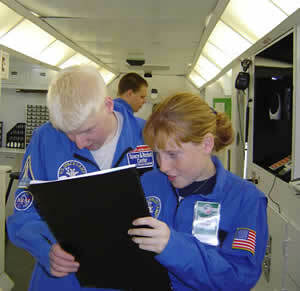 The travel demands required of students attending Space Camp involve negotiation of a variety of environments. They must negotiate the airport, travel within the very large Space Camp campus as well as the dorm facility, and remain oriented on occasional community excursions. While campers typically travel as a group with counselors, chaperones, and other students (sighted guides) present, each camper is encouraged to be as independent as possible in these settings. Although every effort is made to provide a safe and barrier free environment, normal environmental hazards such as steps, stairs, poles, and obstacles exist in all of these locations. If your child uses a cane for any kind of travel, they will be required to travel with their cane at all times while attending Space Camp. This will ensure their safety as well as increase their independent experiences. Label everything with camper's first and last name. Please do not bring portable music players, hand-held computer games, skateboards, roller blades, or other expensive items. Dan's note: Even students flying unattended need to know the color of their suitcase or some distinctive marking on it. Parents and teachers make sure of that. Each of my students carried a backpack on the plane with identification and an orange ribbon. In the back pack the students carried snacks, walk-man, a few tapes, disposable camera, and other small projects to keep them busy. Dan's note: Don't encourage the bringing of walk-mans, IPODs, mp3 players, to be used at Space Camp. On the plane and bus – OK – but not during the day. Will I need my Travel Cane at Space Camp? 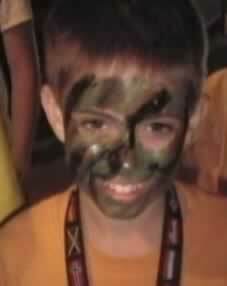 Trainees (campers) stay in dormitories called Habitats. The Habitats are set-up to resemble futuristic space stations. The rooms are similar to college housing and can hold anywhere from 7 to 40 trainees. Placement in the habitat is determined by our availability. The beds are bunk beds, and a bottom bed may be requested for medical reasons, sleepwalking, etc. Males and females are housed separately. Crew Trainers don’t live in the rooms with the trainees, but have their own private rooms down the hallway. A Crew Trainer is always on-call in case of an emergency. Parent Questions: How can I contact my child while he/she is attending Space Camp? Yes, there is the Huntsville Marriot within walking distance of Space Camp. Our Crew Trainers are taught to handle issues very well, and we generally have a three-strike policy. If a child misbehaves, he or she is sent to a member of management. If he or she misbehaves for a third time, a parent is called to pick up the child. Our team leaders, are known as Crew Trainers, come from all backgrounds and walks of life. While one year of college is required, many have completed their degrees. Crew Trainers are background checked during the hiring process. 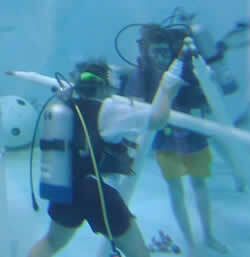 They must complete a lengthy training which includes instruction in curriculum, discipline and safety. Our Crew Trainers are very good about handling bullying issues. Any incidents go to management. We have uniformed security guards on-site 24/7, and security cameras in primary locations. Trainees will be placed on a team with 12 – 16 others. They will be with that team the entire duration of camp. The total number of trainees for SCIVIS week usually is about 15- to 170 trainees with approximately 50-60 vision professionals in attendance, as well. The Crew Trainers have supervisors, who have assistant managers, who have managers, who have a director. In addition to this, we have several support staff Crew Trainers.